Acting and Actors - The Chenkin View | There's no Business Like Show Business! 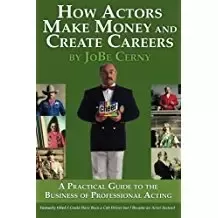 Actors, and the Business of Entertainment. With an almost unpronounceable surname and a thick Austrian accent, who would have ever believed that a brash, quick talking bodybuilder from a small European village would become one of Hollywood’s biggest stars, marry into the prestigious Kennedy family, amass a fortune via shrewd investments and one day be the Governor of California!? realized his dream by moving to the United States in September 1968 at the age of 21, speaking little English. There he trained at Gold’s Gym in Venice, Los Angeles, California, under Joe Weider. From 1970 to 1974, one of Schwarzenegger’s weight training partners was Ric Drasin, a professional wrestler who designed the original Gold’s Gym logo in 1973. Schwarzenegger also became good friends with professional wrestler Superstar Billy Graham. In 1970, at age 23, he captured his first Mr. Olympia title in New York, and would go on to win the title a total of seven times. The immigration law firm Siskind & Susser has stated that Schwarzenegger may have been an illegal immigrant at some point in the late 1960s or early 1970s because of violations in the terms of his visa. 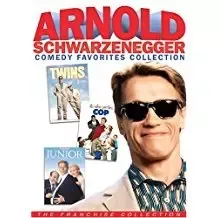 LA Weekly would later say in 2002 that Schwarzenegger is the most famous immigrant in America, who “overcame a thick Austrian accent and transcended the unlikely background of bodybuilding to become the biggest movie star in the world in the 1990s”. In 1977, Schwarzenegger’s autobiography/weight-training guide Arnold: The Education of a Bodybuilder was published and became a huge success. After taking English classes at Santa Monica College in California, he earned a BA by correspondence from the University of Wisconsin–Superior, in international marketing of fitness and business administration in 1979. He got his American citizenship in 1983. He tells that during this time he ran into a friend who told him that he was teaching Transcendental Meditation (TM), which prompted Schwarzenegger to reveal he had been struggling with anxiety for the first time in his life: “Even today, I still benefit from [the year of TM] because I don’t merge and bring things together and see everything as one big problem.” – Footnotes mostly from “Arnold Schwarzenegger” – Wikipedia. Despite some setbacks, Governor Schwarzenegger (“The Governator”) is an inspiration and dedicated to the ideals of America as “the Land of Opportunity”. Arnold Explaining hatred and bigotry to Donald trump. Thank you for reading my blog. Feel free to like, upvote, and share! By Alan Chenkin, Learned about celebrities reading magazines at the supermarket checkout. Amy Adams – Natural Blonde? 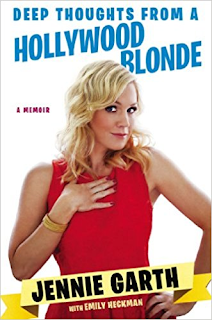 Blonde fascination (possibly bordering on obsession) is something that permeates our society. Barbie Dolls are usually blonde. From “Blondes have more fun” ad slogans to Baywatch stars like Pamela Anderson. FYI – Baywatch (the Series, NOT the 2017 Movie. 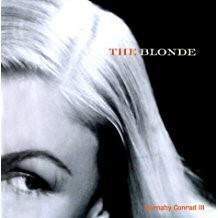 – link is to neat eBay souvenirs) was syndicated internationally, and the rest of the world may believe America is populated by blonde swimsuit models and actresses. It was a theme in the movie “Borat”. Here is “Everything you need to know about Baywatch”. Not to mention the timeless attraction of Marilyn Monroe. Have fun with your Blonde Ambitions, now that you know who’s drapes match the carpet (tacky comment, but I could not help myself)! Sometimes, and I mean this, its more fun to speculate than to know. The famous Clairol advertisement states “only her hairdresser knows for sure”! Being a Paparazzi is hours of boredom, moments of action (when a celebrity may be sighted, and photographed), and negotiation for fees for pictures. It is surveillance work, and requires some detective work, knowing people who can give you information on a specific star’s whereabouts, (and sometimes paying for the info). You also can be detested, Scorned, punched/threatened/assaulted, and jailed, if you are too aggressive. You also may be carrying expensive lenses and cameras, which can be subject to damage. If you are good, the reward is cash for your photos. You also have to know publicists, who may compel you to photograph their clients so they can get exposure in the tabloids. Oops! I’m the Paparazzi, available on Amazon Books. Paparazzi exist to feed the hunger of the press and the famous for more exposure – While I am sure many are professional and have some respect for the subjects, many are invasive and push the limits to get their pictures. This can mean anything from an argument with a celebrity (or their bodyguards) to a fight that ends with someone arrested, or even loss of life (in the case of Princess Diana). And now, Paparazzi need to be savvy with operating Drones! Phantom Spy Drones, available on Amazon! Up and coming stars seek out the attention of Paparazzi to get more exposure and celebrity status. If they are fortunate and become famous, they frequently “turn” on the paparazzi and deny them access, abandoning the resource they needed to get their fame. So if I have not freaked you out, please hire me to train you as a world-class drone piloting, risk-taking Paparazzi at my famous photographer school. (Just joking, although a kickstarter for this may be fun). Take a look at my Photography blog: The Good Shots. Thanks for reading my blog! – Feel free to upvote, like, repost and share! By Alan Chenkin – Learned about celebrities reading tabloids in the checkout line. 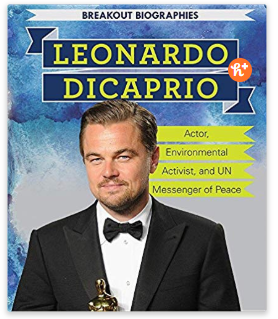 I would like to see Leonardo DiCaprio to take on strong roles with causes he believes in, like Climate Change. Not unlike Kevin Costner in “WaterWorld”. Bruce Dern also chooses roles to promote causes, like “Silent Running” . As an aside, Adam West was in the “Swamp Thing” series, most likely more for a paycheck than saving the environment, at that point in his career. His “swamp Thing” character was eclipsed by his Batman persona. Leonardo DiCaprio is a wonderfully capable actor (yes, I am a fan) and will excel in almost any role he chooses, or even produces/directs. While I am looking forward to his next role, my crystal ball is not good at casting actor’s future direction. (NOTE: This article is edited and expanded from my Quora answer). Music artists have to constantly reinvent themselves, and the money in the music business flows to promoters, ticket vendors, and not to performers (unless you are consistently producing top selling albums). Which leaves you with TV and Movies. WHY? 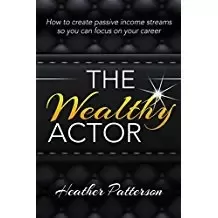 because you get residual income, which can fund your life while you pursue new parts and roles you find personally rewarding; like Broadway shows (when the show closes, by the way, your paycheck ends, just sayin’). 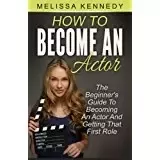 It is important for an actor to monetize their career, and/or get a sponsor (or sponsors) to support them in their journey to master their craft. 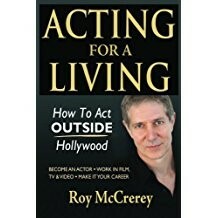 Financial security will give an actor the ability to eat while evaluating roles and donating their skills to good causes. Residuals, whether from album sales, sitcom appearances, or movie roles can be a key component of an performers ongoing income. Thanks for reading my blog! Feel free to like, upvote, and share! If you enjoyed this blog, please feel free to Like, Upvote, and share! Marisa Tomei is a serious actor with good genes, but don’t think that is a free pass to some “fountain of youth”. Ms. Tomei has a serious workout regimen and a diet to help her keep her physique in top shape. Actors, and more often Actresses, are pursued by paparazzi and tabloid reporters for any perception of weight gain, chubbiness, bad eating habits or badly timed bikini photos -usually photoshopped. With her dedication to her routine, Marisa Tomei has fought off the scourge of aging, sagging, and weight that has many celebrities tormented. Like I said, it is not a “free pass” – she works hard at looking good. Marisa Tomei Poster (What a stunning woman)! As you can tell, I am a fan – ever since her role in My Cousin Vinny. Thanks for reading my blog, and THANK YOU Marisa Tomei! If you enjoyed this blog, please feel to like, upvote, or share! I am a fan of Daniel Craig and the James bond Movies. 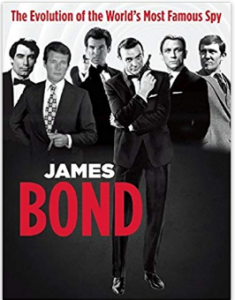 My is hope is that he moves on – he plays Bond with such a serious demeanor that it can detract from the film. He is also a transitional Bond – standing watch as the digital age overtakes the traditional trenchcoated spy. Daniel Craig as agent 007 in the opening scene of Spectre – in Mexico City during the “Dia de Muertos” (day of the Dead) celebration. Thanks for reading this, I hope you found my point of view enlightening – feel free to share! Before you just use crazy glue, consider that it is hard to remove, and is stronger than the skin – so you may pull off some skin if you just tear the jewel off your face. (Crazy glue is removed with acetone). FAQ Monday – What glue can be used on my skin? Guide to many household adhesives and using them on skin. Please be careful, and Have a sparkling good time! Burning Man, the annual festival in the Nevada desert, attracts many people – known as “Burners”. In the past, Celebrities have made the pilgrimage to see the man burn. While some celebrities quietly attend the festival, others treat it as a media experience. Movie star Susan Sarandon stayed in a celebrity camp at Burning Man in 2015. Her visit was showcased in This Insider. Elon Musk, Sergey Brin, and Mark Zuckerberg erect fancy luxury camps in advance, many others arrive to the playa with no plan and pitch their tents where they find space. There is even a concierge service, to provide elite burners services and facilities above and beyond what mere attendees are offered. See the website, Burners.me . Google maps created the unofficial 2018 map of Burning man. Among attendees in the past, Paris Hilton, Miley Cyrus, Diplo, Katy Perry, an assortment of Victoria’s secret models (Sara Sampaio goes every year), Leonardo DiCaprio, and many others. Burning man requires some preparation, and burners need to bring a weeks worth of food, bottled water, funky and practical clothes, Goggles, face masks (for dust storms), and items for giving and exchanging. Diplo comes in a huge “Art Car”. If you are not handy, you can buy Burning man outfits on Amazon and eBay. Here is the wikipedia entry on Burning man. 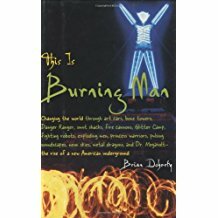 Books and memorabilia from burning man, on eBay. Getting around the Playa is done by foot, tricked out bicycle, and Art cars, which are the only vehicles allowed. (RV’s and cars are parked for the entire week). If you are a Burner or just fascinated with Burning Man, take note of who attends – This may be one of the coolest festivals on the Planet! IF you are reading this after attending burning man, please attend a “decompression event”. Note this article from the NY Post. Thanks for reading my Blog – Feel free to share!